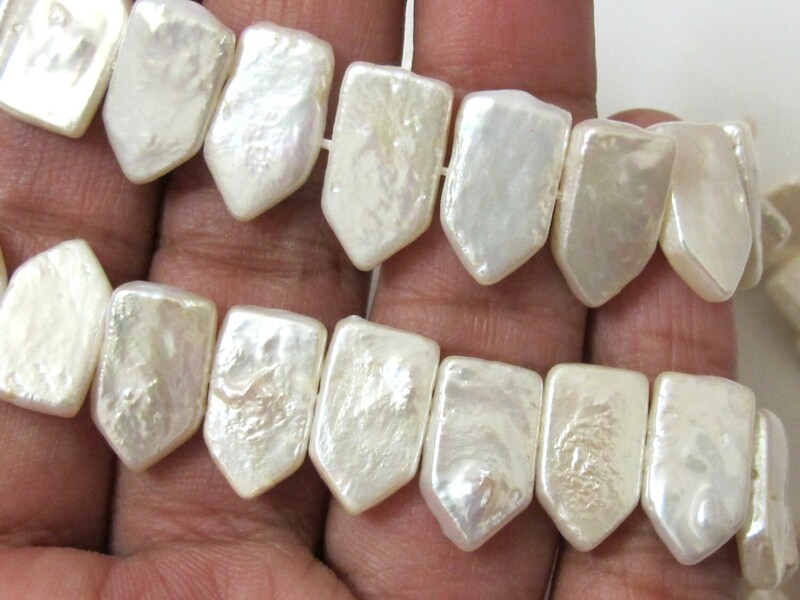 This listing is for 10 beads - Arrowhead shape Natural Freshwater pearls . Center side hole drilled. 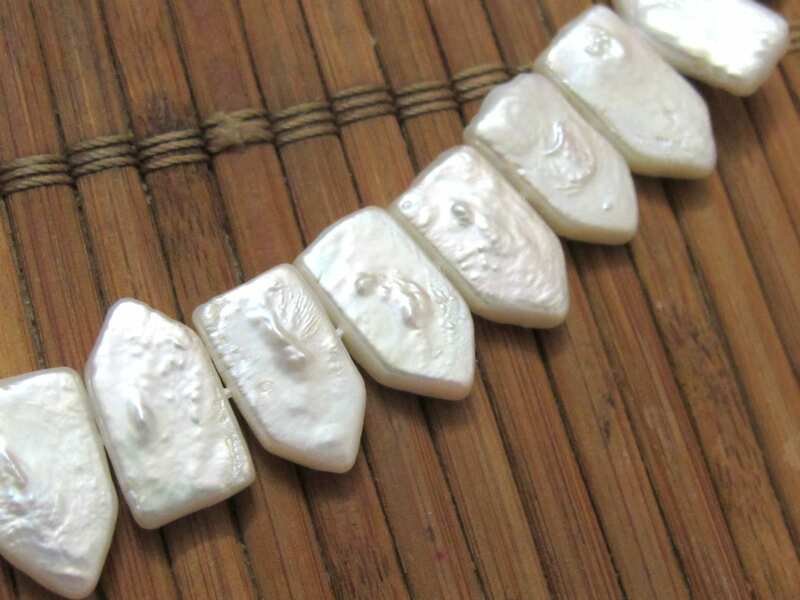 Bead size - Approx 14 to 15 mm long x approx 8 mm wide. 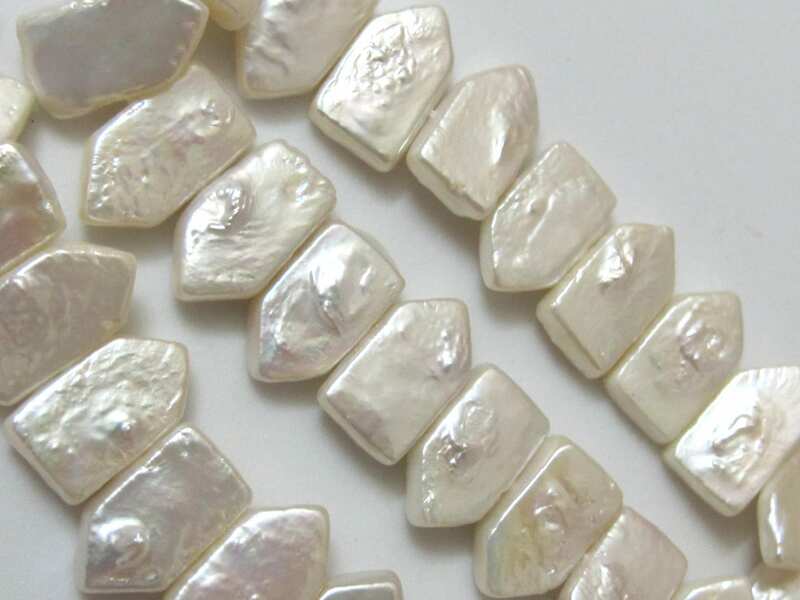 Since these are natural freshwater pearl beads each bead may vary slightly from the other. Natural imperfections may be present.